Inspired by the movie and a friend who asked what our "legacy" might be, we devised our own “Bucket List” to include 4 very Auspicious, Audacious, Ambitious, BUT Altruistic goals. 1. 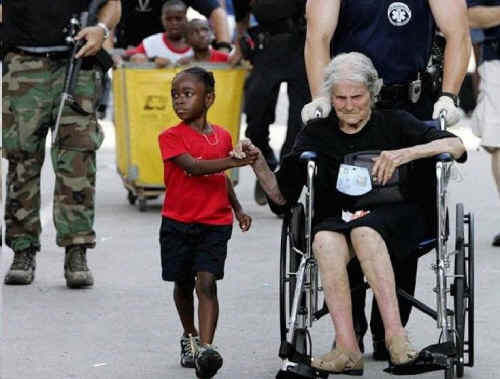 Our most dismissed, discarded and ignored age groups: youth and the elderly, are ideally our most guarded treasures. The world's future depends on us assuring we rescue these "throw-away-kids AND the wasted wisdom and genius of many of our "shut-away-elderly." We can do this by pairing these two reservoirs of humanity with each other and encourage their combined love, energy, learning and wisdom be used to enrich and save the world's people from self-destruction. We must assure our most valuable resources, the young and the elderly, be protected, nourished and encouraged: Neglecting their needs and wasting their gifts will come back to haunt us. By UNITING the two age groups, the entire world will benefit. These two age groups have much to GIVE to each other and, indirectly, the world. Senior Citizens, many of whom in effect are "warehoused" in cold, impersonal nursing homes are often sedated and ignored until apathy and death claim their wealth of knowledge, experience and unrequited love. By merging the two age groups in residential group settings we can bring NEW meaning to life for our seniors and promote a life with MUCH meaning and purpose for our youth. By enabling their combined, hitherto untapped resources, they will help salvage our world so it might "right" itself. Many of our great minds, visionaries and world leaders are suffering life-limiting, life-shortening debilitations due greatly to misinformed lifestyle practices advocated by misinformed health-care “authorities.” Others are being “warehoused” in nursing homes where death becomes a welcome refuge from boredom, abuse and disuse. A week or 10 days of re-education taught by the SAME (but few) doctors and health educators with whom I have had the pleasure of learning over the past 20 plus years will help restore them. Hailed recently by President Bill Clinton on CNN, GMA, the Today Show and Dr. Oz, these Health Care (versus “Disease Care”) Providers can RE-FIRE and RE-VITALIZE these executives who can return home armed with knowledge to continue healing until ready once again to enrich the lives of those who can benefit from their restored wisdom and experience. Fred Burrous, introduced to me by our mutual friend, John McConnell, Founder of Earth Day, once initiated a program called YOUNG EARTH TRUSTEES. Y.E.T’s goal was to instill in our youth at the youngest age possible the desire to do something daily to nurture neighbor and nature in their little corner-of-the-world. Be our Key-Note-Speaker at an “Alabama Town Meeting” held at Calhoun Community College and attended by Corporate representatives, North Alabama teachers, High School Students, and other environmentalists. 1. Former Decatur Mayor Bill Dukes (Later State Representative) proclaimed Decatur the WORLD’S FIRST EARTH TRUSTEE CITY. 4. Governor Fob James proclaimed Alabama to be an EARTH TRUSTEE STATE. Other successful projects included a pictorial exhibition at the United Nations Earth Day Celebration in New York featuring Alabama’s First Lady and area children who participated in one of our programs to celebrate the connection between food choices, health and the environment. After Fred and John died I despaired at my own helplessness when reading more and more headlines about the bleak state of our populace, and worse, our youth, in whose hands lay the world's future. Taking a cue from those mentors, however, I decided rather than “curse the darkness,” I could "light a candle..." And now I'm looking for "matches" to enhance Fred's plan for youth by establishing a one-year-residential MULTI-CULTURAL-YOUTH- LEADERSHIP-INSTITUTE. Our goal will be to nurture these still-forming minds, bodies and souls with all the education and “tools” they will need to live life to the fullest—while instilling in them the desire to transfer these concepts to others who will go forth and multiply that same vision. By incorporating fitness and a health- promoting-plant-based- diet—which everyone will learn how to sustain—all of life's other aspects that promote health and well-being will fall into place: physical, mental, spiritual, emotional, ethical, environmental, economical, sustainable. Several years ago National Public Radio's "Living-on-Earth" series aired a segment about a self-sustaining community near a war-torn-zone. They grew their own food, bartered to exchange talents (as did our forefathers), walked or rode bikes, were community oriented and most importantly, quite happy. They learned if a community grew past 10,000, problems set in and that a 10 mile distance between communities was a minimum requirement. We can learn from their example. We can set up a pilot program that can be adapted according to the needs and resources of region, climate and culture. We all have a vested interest in our children (I, more than most, with 10 grandchildren;-) as they are everyone’s future. Most of us sit back thinking we are helpless in the face of corporate greed, and, in believing so it becomes so. We must stop thinking irrationally and TAKE BACK OUR FUTURE! If you are unable to participate, will you direct me to competent people in the above listed areas (retired executives who would like to “give back” by sharing their talent, knowledge and wisdom?) to help train an altruistic staff eager to teach youths in a positive and health-enhancing environment? Funds are few, however I am able to provide acreage in a beautiful, unpolluted, rural area with convenient access to towns, an interstate and an international airport. Once a viable curriculum with costs is put together, surely there will be grants and/or other potential avenues for assistance. We want to ensure no one ever again die young—or grow old—wasted and unfulfilled because of the miserable world they inherited that mis-shaped their thought processes. Humans were meant to be healthy, fit, productive and happy. Life is meant to be lived to the fullest. Time is precious. Please advise. “We’re all here for a reason, so if you're still breathing, you have a contribution to make."